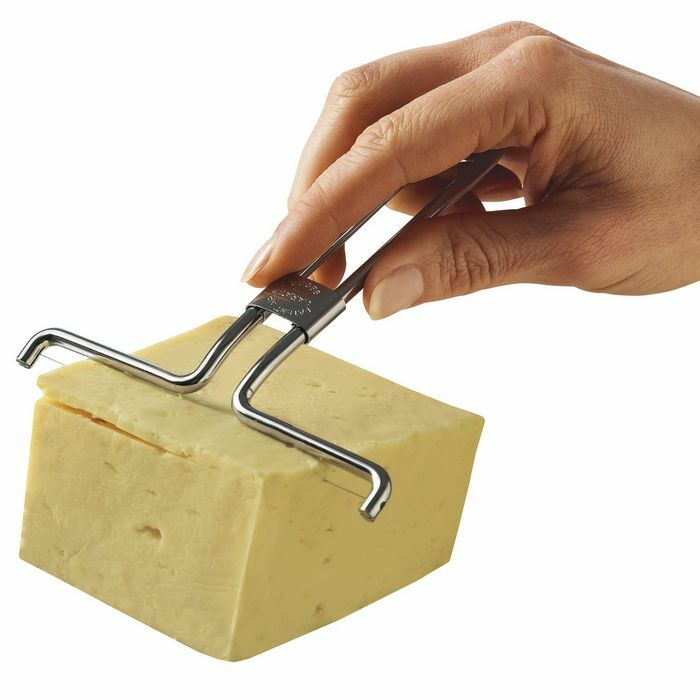 Cheese Slicer - Replaceable Wire! 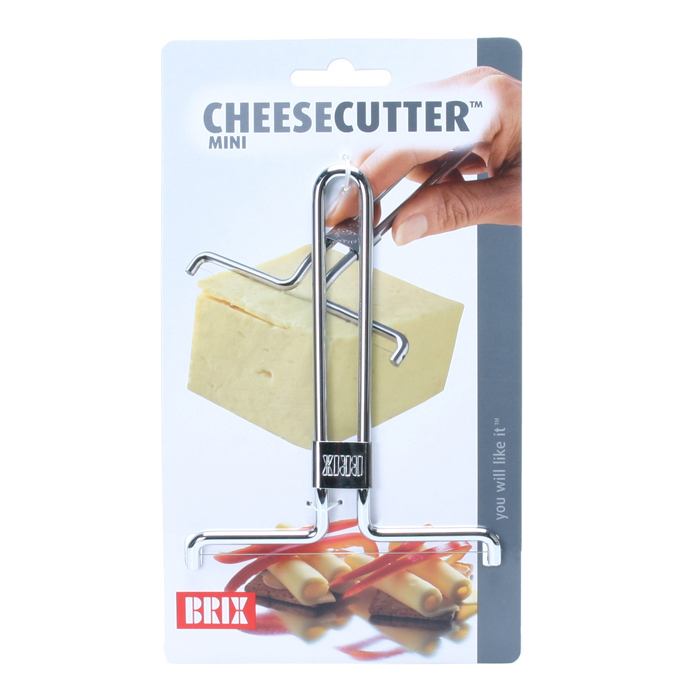 The patented Mini CheeseCutter with replaceable wire is perfect for cutting uniform slices of your cheese. 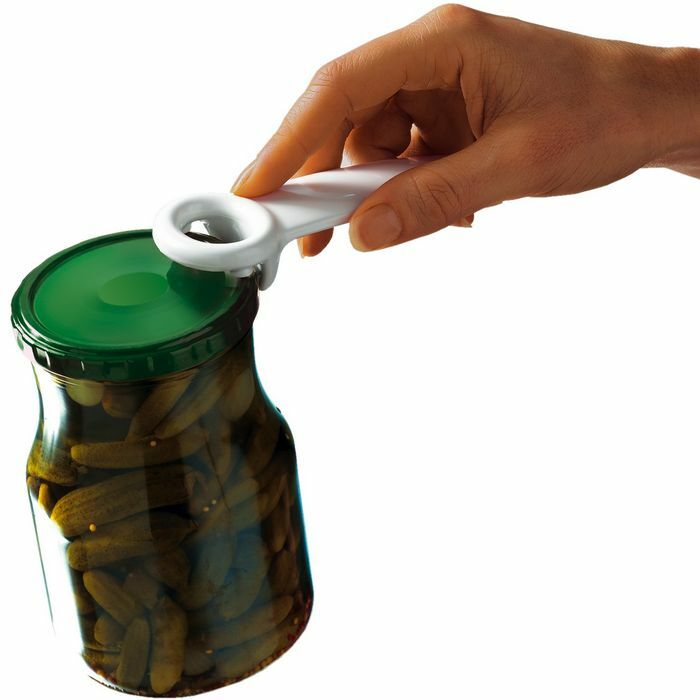 This cheese slicer is also perfect for soft cheeses that can't normally be cut with regular cheese slicers. SO SIMPLE - AND YET SO PRACTICAL! 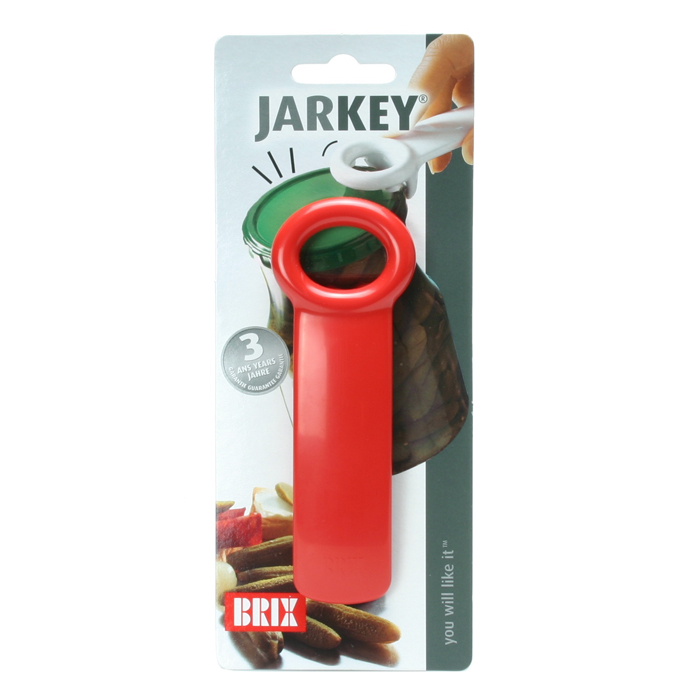 Mini CheeseCutter is made of chrome plated tension steel in an elegant design, and is extremely durable.